Eco sound boxes hold your phone and amplify the speakers without batteries or electricity! 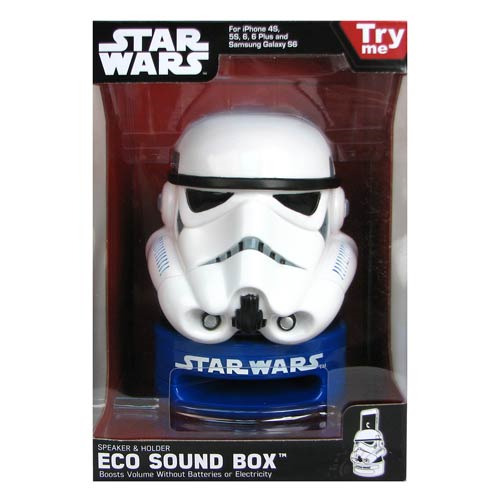 Made to look just like an Imperial Stormtrooper's helmet, this Star Wars Stormtrooper Eco Box Mobile Device Speaker Amplifier is perfect for enhancing your experience with music, videos, alarms, and hands-free calling! Increases sound with up to 15 times the amplification! Ages 13 and up.